Desert Arts presents Rhythm of desert (Folk Music & Dance Show) The group has the mixture of traditional hereditary caste musicians of Langa and Manganiar community as well as the dancer from Kalbelia Gypsy community. A group of acrobat & Other Professional performers like the Bhaats, Dholis, Mirasis, Nats, Bhopas and Bhands are omnipresent across the state. 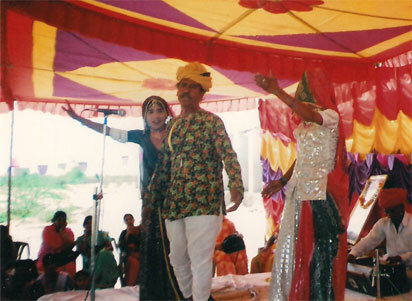 They are patronised by the villagers who participate actively in the shows put up by these travelling entertainers. 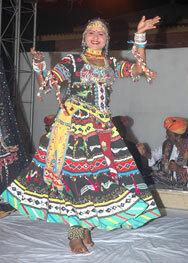 Some of the better known forms of entertainment are: is composed of groups of musicians and dancer of western Rajasthan. 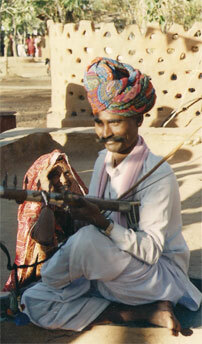 The Rhythm of Desert is the idea to create the exciting fusion of Traditional rhythms and melodies of these communities. The Langas and Manganiars are groups of hereditary professional musicians, whose music has been supported by wealthy landlords and aristocrats for generations. Both sing in the same dialect, but their styles and repertoires differ, shaped by the tastes of their patrons. 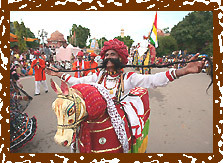 The Manganiar has the patron from the Rajput community mainly Rathore and Bhati Rajput, and in the other hand the Langa has the patron from the Sindi Sipahi community of Western Rajasthan. Though both communities are made up of Muslim musicians, many of their songs are in praise of Hindu deities and celebrate Hindu festivals such as Diwali and Holi. The Manganiar performers traditionally invoke the Hindu God Krishna and seek his blessings before beginning their recital. Langa literally means 'song giver'. An accomplished group of poets, singers, and musicians from the Barmer district of Rajasthan, the Langas seem to have converted from Hinduism to Islam in the 17th century. Traditionally, Sufi influences prevented them from using percussion instruments, however, the Langas are versatile players of the Sindhi Sarangi and the Algoza (double flute), which accompany and echo their formidable and magical voices. They perform at events like births, and weddings, exclusively for patrons (Yajman), who are cattle breeders, farmers, and landowners. The Langa musicians are regarded by their patrons as 'kings'. The 'Sindhi Sarangi' used by the Langas, is made up of four main wires, with more than twenty vibrating sympathetic strings which help to create its distinctive haunting tones. The bowing of these instruments is a skilful exercise, often supported by the sound of the 'ghungroos' or ankle bells that are tied to the bow to make the beat more prominent. 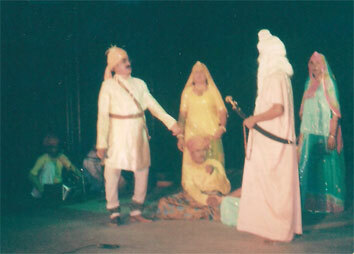 Pabuji Ki Phad is the traditional story-telling art of Rajasthan, India. Literally, it translates to two possible phrases, The Screen Of Pabuji or O, Read Of Pabuji! 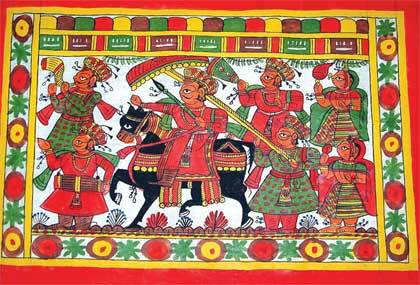 The Phad is a 30 feet long sheet on which are painted (or sewn) miniature scenes depicting the life of Pabuji, a 14th century hero, on which his adventures are depicted. The singer has a stick with which he points out each scene and narrates the story. The light is provided by his wife who holds a lantern alongside him. The Bhopas are the community that carry this tradition, and are invited by villagers to perform in their areas during times of sickness and misfortune. 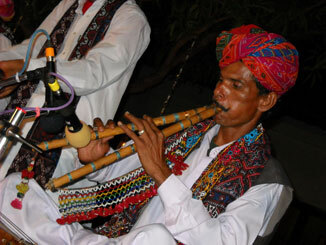 The ballad is sung by the Bhopa as he plays the Ravan-hattha.